Cufaba: Business sure is slow today. Tupetoto: Good. I'm too tired to deal with anything. Tupetoto: If anyone comes in here, I'll find a reason to kick them out. 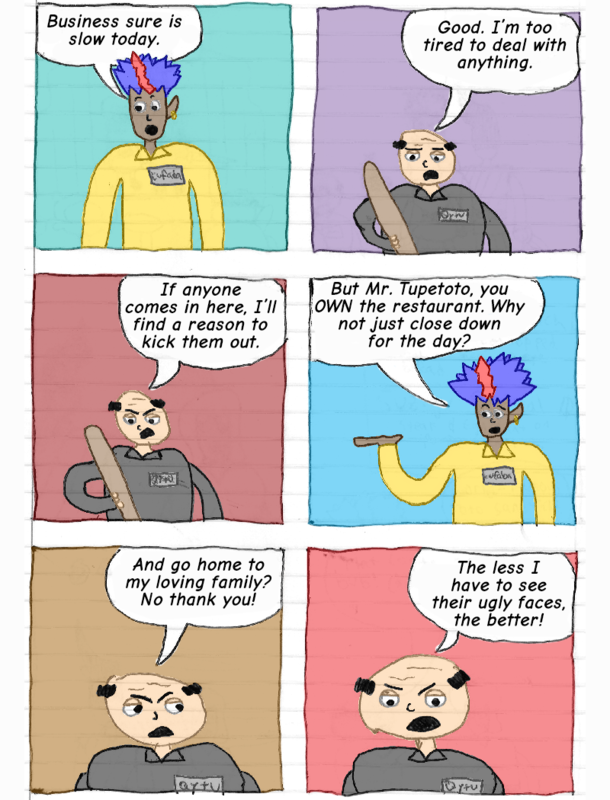 Cufaba: But Mr. Tupetoto, you OWN the restaurant. Why not just close down for the day? Tupetoto: And go home to my loving family? No thank you! Tupetoto: The less I have to see their ugly faces, the better!